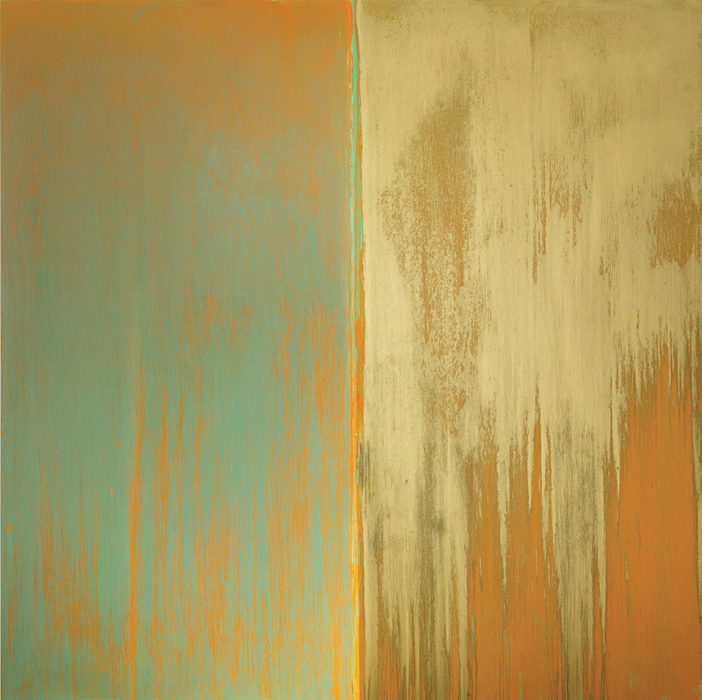 Pat Steir, Green, Orange and Mica, 2013, oil on canvas, 11 x 11'. Since 1989, Pat Steir has been working in more or less the same mannersplashing her paint and turpentine on the top of her canvases and letting it find its own way back home to earth. “I . . . use nature to paint a picture of itself by pouring the paint,” she has said, the echo of Jackson Pollock’s “I am nature” in the vicinity of the act of pouring undoubtedly no accident. I never much cared for the results, though. 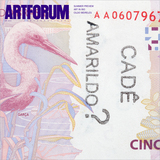 Either the colors seemed too blatant, or the space too shallow, or whateveruntil now, twenty-five years later, when suddenly artistic process and the phenomenology of looking seem perfectly synced. Persistence counts. Steir’s new paintings are magnificent.